Toyota Motor is yet again on track to breaking its record for unit sales this year, which is likely to reach 10.35 million vehicles – up 2% from 2016. Toyota’s previous sales record of 10.23 million units came in 2014. In the following two years, volume growth lost momentum as the minicar segment in Japan suffered a slowdown and emerging economies faltered. According to the Nikkei Asian Review, group sales include that of minicar unit Daihatsu Motor and truck maker Hino Motors. 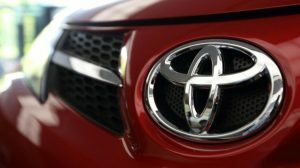 Sales of Toyota- and Lexus-brand models, which account for the bulk of the group total, are expected to rise 1% this year to 9.35 million units. Of this figure, domestic sales are seen climbing a brisk 3% to 1.63 million, with the new Tank and Roomy compact minivans proving popular. In China, the Corolla and Levin compacts have sold well this year, helped by the extension of a tax benefit through the end of the year. In Europe, hybrid versions of the Yaris subcompact and the C-HR sport utility vehicle produced in Turkey fared well. In North America, pickup trucks and SUVs were popular amid low crude oil prices, while sales of sedans fell. For 2018, Toyota projects group-wide sales to grow 1% to 10.49 million units, reaching another record. The automaker expects its Lexus luxury brand to gain traction in the growing Chinese market. In Southeast Asian markets such as Thailand and Indonesia, sales may start to pick up amid a mild economic recovery, reports the Nikkei Asian Review.